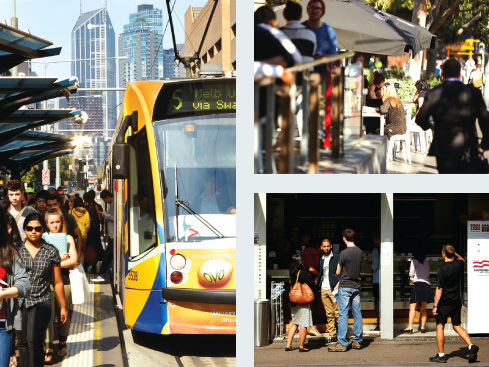 Global leading cities like City of Melbourne are responsible for an extraordinary range of economic activities and services and are critical to our move to a low carbon future. The location of the Pixel Building is unique and highly desirable. It sits perfectly between the popular inner-city suburb of Carlton and the bustling, yet easily accessible CBD. From the windows of the building one can see far and wide their proximity to Melbourne Central, the State Library of Victoria and the QV complex and within walking distance are many of the Melbourne CBD features such as the legal, and business precincts located on William and Queen Streets as well as Chinatown and the Bourke St Mall. Anything further than this is quickly reached by the Melbourne Central Train Station or the vast number of trams travelling in all directions from the City. Having the opportunity to place yourself in the midst of the city means effectively minimising daily business travelling costs and therefore the carbon footprint of the company. Adding to this is the benefit of being easily reached by key stakeholders, business partners and customers. 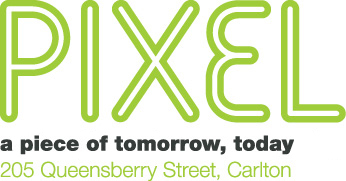 A few steps north from the Pixel Building will find you in the middle of one of Melbourne’s most sought after suburbs. Carlton is busting at the seams and gives the CBD a run for its money with the amenities available. The world-renowned Queen Victoria Markets feature some of Victoria’s finest producers and providores. This has evolved and adapted to the times as the area has quickly become home to wide array of different cultures. This combined with the large student population from the University of Melbourne provides Carlton with the second largest population in the municipality as well as a vibrant cultural diversity that’s hard to beat. The area also boasts the the Lygon St dining precinct. The rich italian culinary heritage brings a multitude of passers-by and tourists into the area. 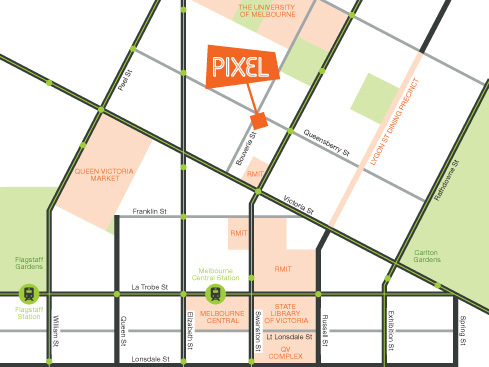 The Pixel Building can be found at the point where the excitement of Carlton connects with the activity of the CBD.